The Paris Grand Mosque accepted the March 07 ruling, but it was appealed by the Union of Islamic Organisations of France and later by the Saudi-based World Muslim League. 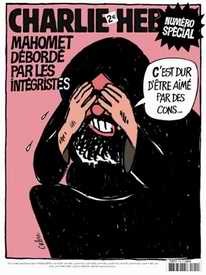 The Muslim associations aimed to show that reprinting the cartoons was a provocation equal to anti-Semitic acts or Holocaust denial which are banned under French law. A Paris appeal court confirmed the acquittal of Philippe Val, editor of the Paris-based satirical weekly Charlie Hebdo , on charges of insulting Muslims by publishing cartoons of the Prophet Mohammed in 2006. The court issued its decision in response to an appeal by the Union of Islamic Organisations of France and the World Islamic League against his acquittal by a Paris criminal court on 22 March 2007. The prosecutor’s office, which had requested his acquittal by the criminal court, asked the appeal court to uphold his acquittal.